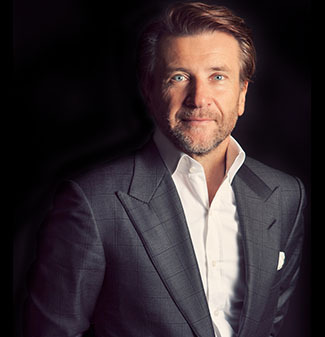 Herjavec Group Expands Into Europe By Acquiring Sysec LTD.
TORONTO, CANADA & LONDON, UK – FEBRUARY 3, 2015 – Robert Herjavec, Founder and CEO of Herjavec Group and star of ABC’s Emmy Award-winning hit show Shark Tank, announces the acquisition of Sysec™, a leading IT security solutions provider headquartered in the United Kingdom and the 2014 McAfee EMEA Accredited Certified Engineer (ACE) Partner of the Year. Sysec specializes in information, identity and infrastructure security, offering managed, consulting and professional services to over 200 enterprise clients across the United Kingdom and Europe. Sysec is forecasted to achieve over $20 million in sales revenue for 2015 and has developed a reputation for outstanding technical engineering talent. By acquiring Sysec, Herjavec Group expands its presence in the European IT security market and is well positioned to service its growing multinational customer base. The acquisition facilitates Herjavec Group’s plans to complete its “follow-the-sun” technical support structure by developing a London-based Security Operations Centre (SOC) to complement the comprehensive support offered from its world-class, Payment Card Industry (PCI) compliant, Toronto-based SOC and its technical security centre in Las Vegas, Nevada. In addition, Herjavec Group expects to finalize construction of its Los Angeles, California SOC by close of Q1 2015.